Eighty percent of hiring managers say interpersonal skills could be as important or more important than hard skills. Two in 5 managers indicated they are looking to hire full-time positions in 2019. Younger generations are bringing job mobility to the workforce as many millennials steer away from lifetime positions at just one company. Your greatest asset when applying for a job might be your social savvy. Four out of 5 employers polled by CareerBuilder say that soft skills, including communication abilities and critical thinking, are equal to or more important than hard skills — or specific technical abilities — when they're hiring candidates. The employment website polled 1,021 hiring and human resource managers and 1,010 full-time employees in December and January. "With technology changing the daily tasks of many jobs, hard skills are still important," said Michelle Armer, chief people officer at CareerBuilder. "But the results show that employers realize these skills can be taught through training or mentorship programs, whereas soft skills cannot be taught in that way," she said. More than 9 out of 10 survey participants said soft skills are important in determining whether they will hire someone. The ability employers were most interested in was team orientation. "Attention to detail" and "customer service" rounded out the top three competencies companies seek. Attributes that might give you an edge over other job applicants centered on being dependable, detail-oriented and self aware, said Maureen Hoersten, chief operating officer at LaSalle Network. Having empathy and being team-oriented also matter, she said. Job interviews give hiring managers insight into candidates' soft skills, based on their behavior toward executive assistants and other staff members and their timeliness, said Hoersten. In particular, what you say about your past employers and former coworkers can be telling. For instance, hiring managers might be more inclined to look at you favorably if you ask them to respect your old employer's policy of giving two weeks' notice before switching jobs. It shows that you have respect for your previous company's investment in your career, Hoersten said. About 40 percent of the participating employers said they plan to bring more full-time workers on board next year. 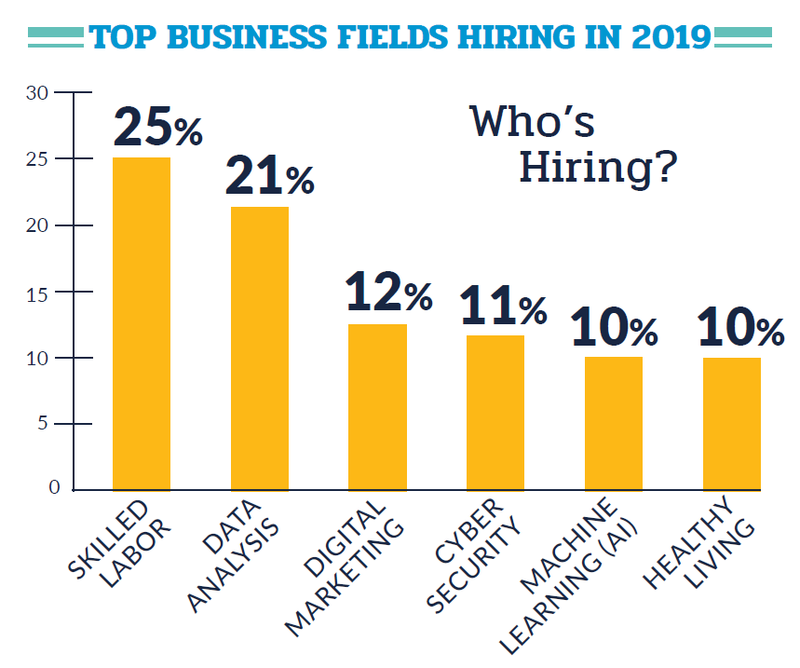 Skilled labor, which includes engineering and technician jobs, are in high demand, as a quarter of the participating hiring managers said they're hoping to add talent in those fields. Data analysis candidates are also popular, as 2 out of 10 hiring professionals want to hire them this year. "New technologies are constantly being introduced, causing legacy industries to be transformed, so the need for workers with specialized, high-tech capabilities is on the rise," said Armer.